Hi everyone! 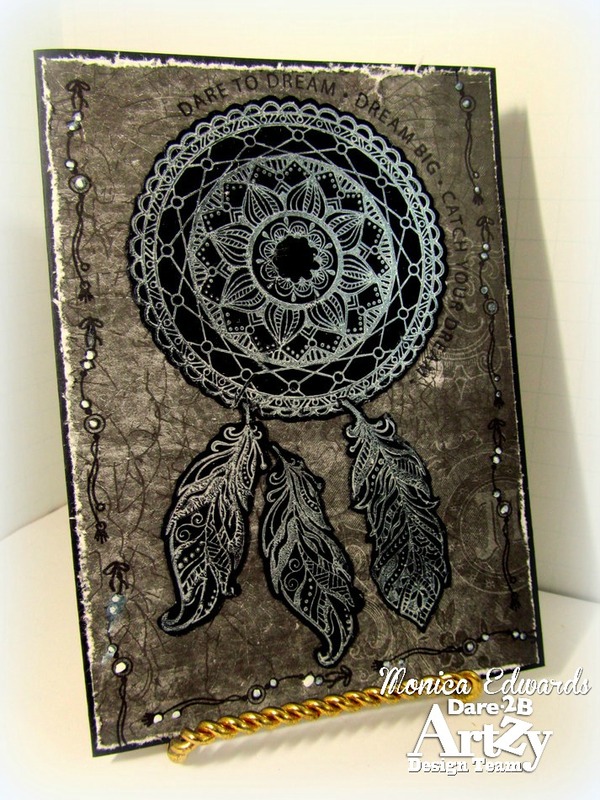 Monica here sharing a black and white card I made using one of my favorite stamps from Dare 2B Artzy called "Dream Catcher" along with the matching Feather dies. I used some White Shimmer ink which shows up well on the Chalkstock paper from Canvas Corp. I used my MISTI tool to stamp the feathers and center focal piece. I will say this is a great tool to have. Especially for those times when you dont get a good inked impression because the ink was not spready evenly on your stamp, simply reink and stamp again. The MISTI allows you to stamp the image over and over without distorting the look. I absolutely love how this card turned out. This is one of my favorite stamp/die sets from the store. 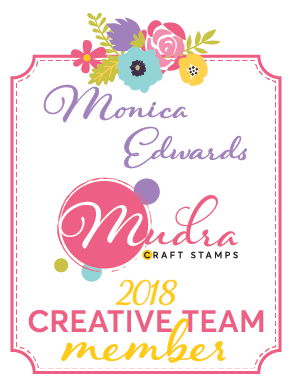 There are so many different uses you can get out of this stamp. Simply amazing. Don't forget to check out the challenge we have going on right now. 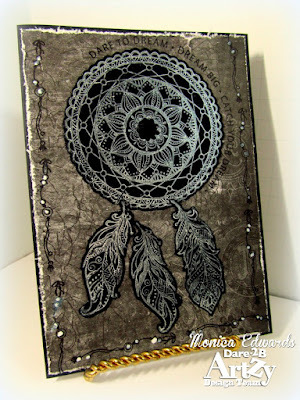 Dare 2B Artzy is giving away some of their amazing stamps so hurry and enter! Just click the card below to enter our Birthday challenge going on this month right now!! Also leave a comment if you would like to win this card. A beautiful vibrant card! Love it.